I'm delighted to have Tony Hoagland as the feature poet for The Poet on the Poem series here at Blogalicious. 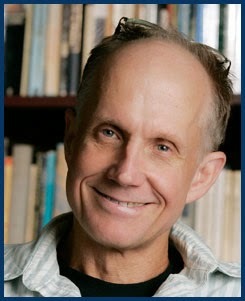 Tony Hoagland is the author of five volumes of poetry: Application for Release from the Dream (Sept 2015); Unincorporated Persons in the Late Honda Dynasty; Sweet Ruin, winner of the Brittingham Prize in Poetry; Donkey Gospel, winner of the James Laughlin Award of The Academy of American Poets; and What Narcissism Means to Me, all from Graywolf Press. He is also the author of two collections of essays about poetry, Real Sofistakashun and Twenty Poems That Could Save America, and the chapbook Don’t Tell Anyone. His poems and critical essays have appeared widely in anthologies as well as in journals such as American Poetry Review, Harvard Review, and Ploughshares. His honors and awards include fellowships from the National Endowment for the Arts and the Provincetown Fine Arts Work Center. He has received the O.B. 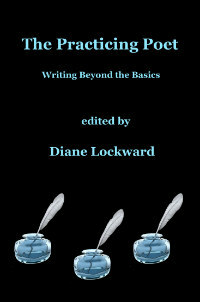 Hardison Prize for Poetry and Teaching from the Folger Shakespeare Library, the Poetry Foundation’s Mark Twain Award and the Jackson Poetry Prize from Poets & Writers. He teaches at the University of Houston and in the Warren Wilson MFA program. Today's poem is "Give Me Your Wife." It first appeared in the Lascaux Review. the weathered evidence of joy around her eyes. her hips pried open by the child. her stillness like a painting on the wall. dunk his head entirely under. So give me your wife. Recycle her. DL: You begin with a 1-line stanza, followed by nine 3-line stanzas, then one 4-line stanza, and finally another 3-line stanza. What’s the logic behind this stanza arrangement? TH: My decisions are motivated by the simplest possible reasons for arrangement—pacing and content—but the poem should probably be, and mostly is, in tercets, for their processional pacing. What is happening in the poem is a kind of ceremonial asking, which needs to have a rhythmical pace. DL: You also use inconsistent line lengths. Line 1 is just six words with a total of seven syllables. Line 4 is eleven words, twelve syllables. Line 3 juts way out into the right margin. How did you determine your line lengths and breaks? TH: Very organically, in semantic units, with the occasional but not too difficult enjambment. I believe in the poem as immersive dream; almost all decisions, many of them anyway, are devoted to clarity, and keeping the reader effortlessly inside the poem, in the dream of the poem, which should be like a ride down a river. DL: Your title does double duty, serving as both title and part of the sentence that’s completed in the first two lines of the poem. What do you think are the benefits of this kind of title? TH: Swiftness, quickness of immersion, and involvement. Poems that, like a horse, "get out of the gate fast," have a great advantage. This is especially true of what I call "relational" poems, poems that are making a direct and intimate address to the reader as well as the addressee of the poem, if different. I don't remember exactly the first time I saw a poem's title slide straight into its first sentence, but I remember thinking, "That's a cool thing." DL: The poem has a distinctive voice, beginning with the bossy directive of the title. You use a first person speaker, a man who desires another man’s wife. You also use direct address to an auditor, the husband of the wife. Please talk about how you intended these two choices to affect the voice and the reader’s response to the speaker. TH: I realize this positioning of speaker to the drama at hand will be off-putting to some—obviously for its presumptions about a woman or wife as a kind of property. In some of my poems, I deliberately choose a kind of initially aggressive stance as a way of making things interesting, but that is not the case in this poem. After I wrote the poem some years ago, I showed it to one or two of my reader-friends and they were nonplussed by the premise. They were women readers, but hardly prudish persons, and so, although I liked the poem, I accepted their verdict of my obtuseness and put it away for a few years. It came out of the drawer much later, maybe when the Lascaux Review asked me for some poems. I had forgotten it, though I still liked it. Nonetheless, I still believe that a poem has a greater duty towards (or legitimate interest in) actuality than ideological purity. Poems are not interesting for their political inoffensiveness—rather for their psychological verity—and whether we approve or not, men and women look at others as a kind of possession, often enough. If the psychological reality is there, why not write a poem that inhabits and explores such a stance—such a situation—to the fullest? 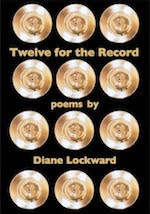 If the observation that the virtues of a perfectly good woman or man are wasted on their spouse is a common thought—and who has not felt this?—then why not write a poem making that argument real? And the poem—though it is "objectifying"—is a poem of observant praise, and also a somewhat resigned critique of men and women and their relations. DL: The voice of the poem is also affected by the diction and imagery, both of which often seem in conflict with each other. For example, the speaker instructs the auditor, that is, the husband, to “Recycle” his wife. That word implies that she’s a reusable item. But in the next line the speaker describes the wife’s mouth as a “soft dry rose,” a delicate and appealing image though perhaps suggesting that the wife is past the bloom of youth. The wife is also described with such words as “interesting,” “weathered,” “faded,” and “resigned,” all of which make her sound over-the-hill and rather dull. But then “she could still be kissed and joked with, / teased into a bed // with cool white sheets; // convinced to lie and be / laid down upon.” These words and images make her sound desirable, though perhaps a bit credulous. Talk to us about your use of contrasting diction and imagery and the contribution they make to the poem’s voice. TH: These tunings of diction and rhetoric for me are the essence of most poems that I like—whether it is Fanny Howe's poem "My Broken Heart" or Lawrence's "Bavarian Gentians." Tone is the greatest instrument of poetry and comes from the alloy, or fusion, of contradictions in our attitudes and experience. The bloom IS off our rose. That doesn't make us undesirable, or desire-free. In fact, a weathered body, face, consciousness can obviously be a marvelous—what shall I say?—asset? object? property? As Rilke says, we've earned our faces; or, as Kinnell says, "The wages of death are love." This poem acknowledges the existence of a kind of Eros which I hope we are all familiar with; not to be denied, but to be cherished, even if it is only in fantasy—and that is a whole other subject. My pleasure, Karen. You're keeping good company. I took the poem as Karen did, an homage to a mature woman and a message to a husband who doesn't see her with fresh eyes. I thought it was interesting that some might perceive it as objectifying women. And I suppose, technically, I can see that perspective. To me, my default position in these regards is to assume the best, not the worst, and so on a first read I took it the best possible way. I do agree with Mr. Hoagland with regard to relationships. We assume possession of people in some regard -- MY husband, MY wife -- not so much to make them objects but to broadcast an understanding to those around us that there is an arrangement of exclusivity. I thought a more interesting take on the poem is that it busts this idea that all middle-aged men are looking for 20-year-old cuties. It says very loudly, "We're not all cliches." Hi Wendy--Yes, I see the homage part. I like that the speaker finds a mature woman desirable. But what I really like about the poem is its layers. The speaker wants what he shouldn't want--another man's wife. I like the mixture of praise and mild insult. I like the speaker yet find him arrogant. "Tone is the greatest instrument of poetry and comes from the alloy, or fusion, of contradictions in our attitudes and experience." --These words from Hoagland, for me, point to the essence of this poem. Does it contradict itself? Yes. Good.